Something painful but also something I’m very thankful for. I know where my children are every single night. I control where my children are, who they hang out with, and what they do every single day. I am their best friend, number one, and their all time favorite. They are asleep by 7:30pm every night, in their beds (or mine) by midnight (so I know WHERE they are) and I control who influences them and where they go. Sounds like a helicopter parent? Nope. Just a parent of little ones who knows their every move. This is why THIS STAGE of parenting is so dang easy. Tantrums, fits, meltdowns, overtired children, cranky, fussy, teething babies/toddlers, and a strong headed child are easy to handle. Sure, it’s exhausting. Even frustrating and makes you want to pull your hair out BUT it’s manageable, controllable, and doable. Not knowing where your child is at night. Or when your child is coming home. Or who your child is hanging out with, influenced by, or doing RIGHT now. Because right now I know that both of my kids are asleep. I know where they are. I’m aware. 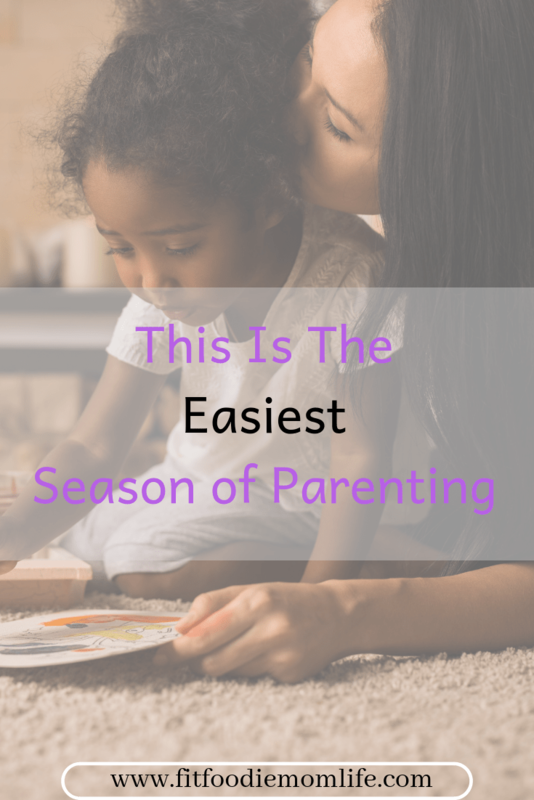 So I’m here to tell you that this stage of parenting is a piece of pie. This past week my brother lost his best friend in a car accident (16 year old kid!). You know who’s grieving like crap? The parents of this dead child. And my parents have to figure out how to handle a grieving child, as well as many other parents whose kids were affected by this horrible tragedy. I just have to figure out how to stop my toddler from saying “no” to everything I tell him. Right now everything about parenting is teaching, disciplining, and explaining. Once they grow up even more and become more independent, it changes to trusting, letting go, praying God to rest your anxious heart and watch their every single move. I’m not ready for that. I shouldn’t have to be. Life will teach me and I’m sure some things I’ll learn along the way. But I know I can’t do that until I do this season of life. I love that I’m their favorite. Their favorite hello and hardest goodbye. Honestly, it will break my heart to leave this season of raising little ones. So forget the childhood messes, and enjoy the young years more. So this is for you anxious mama struggling with a strong willed child, or a baby who just won’t sleep more than 45 minutes at a time, or dealing with a defiant child. These years are easy. Look in their eyes, hug them longer, kiss them more, and be thankful YOU are their forever favorite. Because these little, easy years won’t last forever. Someday you too will have to let go and trust your baby is making a good decision. Also there will be many disappointments and heartbreaks, something you’ll have to deal with then as well. But right now, you have a little one(s) in need of your attention and everything else can wait. Soon you’ll have big kids, big problems. Right now it’s little kids; little problems you can handle. And I know it won’t last forever–honestly I wish it really would. YES! Such a good reminder. I’ve recently been telling my husband this is my favorite part of life with littles and I don’t ever want them (2.5 and 4 months) to grow up! And that I may need an endless supply of babies. 😜 But you’re so right, that really puts it into perspective, this is the easiest, even if I’m trying to function on little to no sleep. And oh how I love being their favorite.